The Audio Production Techniques program educates students in the fundamental concepts and skills of multi-track analog and digital audio recording by borrowing the basic and intermediate sections from the Recording Engineering and Studio Techniques program. It then adds extensive education in advanced digital audio technology—including advanced, in-depth training in ProTools—and applies this knowledge and skill to the creation of recorded audio products through the recording, mixing, editing and manipulation of sonic elements in both the analog and digital domains. By establishing a strong foundation in the theories of sound and the techniques of professional recording, students gain valuable insight to the advanced skill set required in the modern day recording environment, which integrates both digital and analog technologies into one seamless system. This program prepares graduates for a wide variety of employment opportunities, including record production, audio production for radio, theater, commercial jingles, music beds, and a vast number of other areas that require basic recording skills along with advanced digital editing and manipulation of audio. Additionally, the linear and non-linear editing skills taught in this program will substantially enhance the employment status of studio recording engineers and live sound engineers. As an Audio Production Techniques student, you will work hands-on with the finest professional microphones, learn the ins and outs of magnetic recording, signal processing, and the signal flow and operation of large-format professional API 24×8 and SSL 9072 J recording consoles, including hands-on recording and automated mix. You will be trained by the experts as you gain practical, hands-on experience on modern Artist Series and Icon digital consoles as you mix in both stereo and surround. This intensive, hands-on learning experience includes four recording and mixing projects. One of these will be your own personal project, where you will choose the music and artists, and bring all of the analog and digital concepts together to record, edit, and mix the music yourself in the ProTools digital environment. We also teach using a variety of plug ins including MCDSP, Izotope, and Waves. 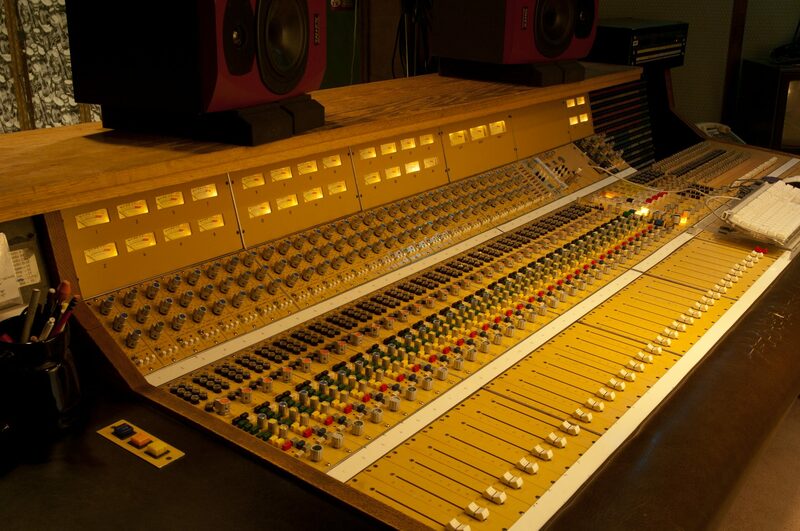 The Audio Production Techniques program can be taken individually, in combination with other Component programs, or as part of Omega’s Comprehensive, Audio Engineering for the Music Industry, or Audio Engineering for Film and Television programs. The program duration is approximately 44 weeks for daytime students and 52 weeks for evening students. Successful graduates also have the opportunity to receive Avid ProTools Certification in Music Production.